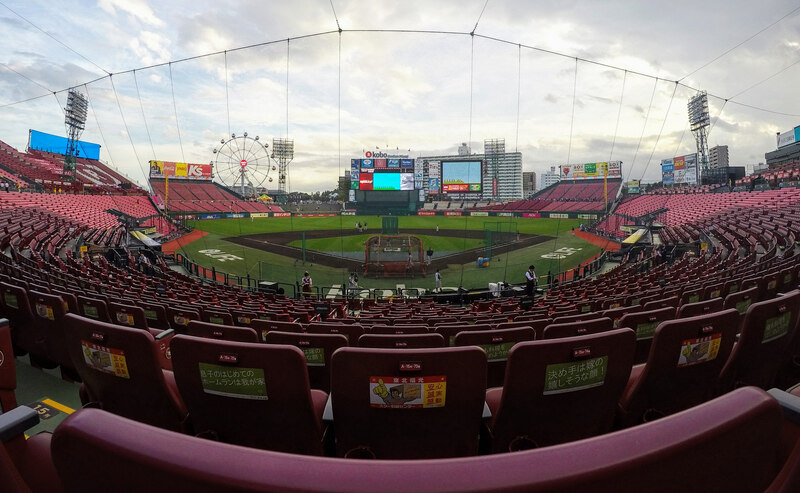 Introducing NEIFI’s NPB Team Projections for the 2016 season, which opens today. –All standard hitting and pitching performances, translated into NPB-E’s (Nippon Professional Baseball-Equivalents). This includes affiliated MLB/MiLB performances, but also, for the cases of other gaijin, performances in Korean or Cuban professional leagues, expressed in NPB-relative values. NEIFI also uses data from the Japanese developmental leagues (NPB minor leagues), and translates those performances into NPB-equivalents as well. So, whether one is concerned with Yamaico Navarro (MiLB, MLB, KBO data) or Alfredo Despaigne (Cuba, NPB), Tetsuto Yamada (Japanese major and minor leagues), or Matt Hague (pretty much just MiLB), their performances in all leagues go into their projections. –Defense. We simply have not yet taken the time to generate NPB defensive metrics based on available data (let alone, for example, Cuba-to-Japan defensive equivalents). We therefore assume NPB-average defense for players at their listed positions. Playing time is being estimated based on projected player quality, listed positions, and publicly available sources of rosters (NPB website, and also this very helpful Reddit thread). This is a fairly bunched grouping, perhaps owing to our lack of defensive metrics, or perhaps simply representative of a tighter talent distribution (with only 12 teams, such a thing is far more likely to occur than it would be in MLB as a whole; however, it does occur in either the AL or NL from time to time, and the 2016 AL is a good example). Hague seems to be an ideal gaijin import, which NPB teams seem to view as their lifeblood. Yamaico Navarro has now played professionally in each of the Dominican Republic (DSL and DOWL), USA, Korea (KBO), and Japan (NPB). He has played primarily 2B in Korea the past two seasons; whether or not he could handle the infield in the US (or even Japan) is unknown. Interestingly, Navarro was also arrested in Japan last month after a bullet was found in his luggage at Okinawa airport. Yuki Yanagita and Tetsuto Yamada seem to be in a class all their own. Yanagita’s 2015 is effectively tied with Wladimir Balentien’s 2013 for single best offensive season under NEIFI’s NPB consideration (2010-present), and the next-best after those two lags by .029 points of ABR, or 17.4 runs per 600 PA. That’s the difference in offensive talent levels between Paul Goldschmidt and Mookie Betts, or Jose Bautista and Eric Hosmer. The Dayan Viciedo world tour begins its Japanese stint, and Viciedo has as good a chance as anyone of eventually competing in each of the big four (Cuba, US, Japan, Korea). We wrote about Otani extensively for Fangraphs. For what it’s worth, Kenta Maeda would have ranked third on this list, were he still in NPB. As far as baseball world tours, Rick van den Hurk has now dominated in AAA, Korea, and Japan, and reached MLB after being born and raised in the Netherlands. (However, he can’t claim he was even the only RHP from the Netherlands competing in NPB last year. Loek Van Mil made appearances as well, though he spent most of the year with Rakuten’s farm team). Otani and Shintaro Fujinami have prototypical US pitcher bodies, as tall right-handers with fastballs in the mid-upper 90’s. It will be very interesting to watch the development of Yuki Matsui, who is a 5’8” lefty reportedly sitting mostly in the high 80’s. As an amateur, Matsui once struck out 22 batters in a national tournament (high-school) game, obliterating the decades-old previous record of 19, held by five pitchers. In his very next start in the same tournament, he struck out 19, in front of a mere 47,000 fans in Koshiem stadium (yes; 47k fans for a high school game). Matsui pitched as a closer for Rakuten last year, striking out 103 in 72 innings (36% of batters faced, and was pitching at age 19 until turning 20 in October). Though based on his track record—he was used mostly as an SP in the farm system—a return to starting seems possible.